We are at the point where once we receive funding we will be completely ready to finish production and get the football planners printed. 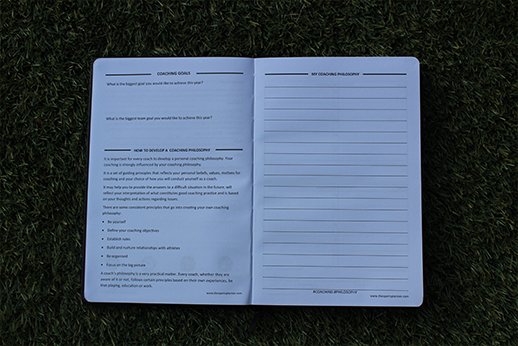 The Sports Planner is designed to help Football coaches with continuous professional development, it allows them to store all ideas and plans in one place. From tracking players to session planning. 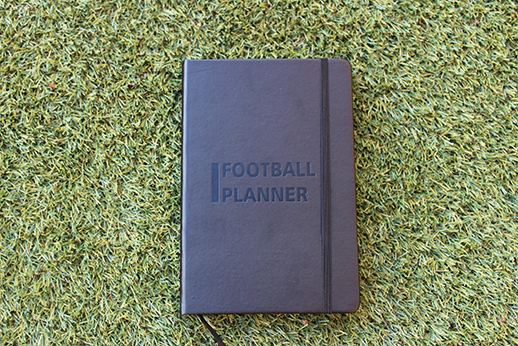 The Sports Planner comes as a A5 hardback notebook, which is easy to carry around in your hand or bag. I have teamed up with a book binding company who produce the best hardback books in its field.  They have had over 15 years experience and have worked with large brand sin the past such as Moleskine. I have already had a few prototypes sent over and the quality is great. 1) The print company will take the designs that i have already provided and begin the printing of these. 2) While the internal pages are being printed and bound, they will then start the emboss of cover page logo. 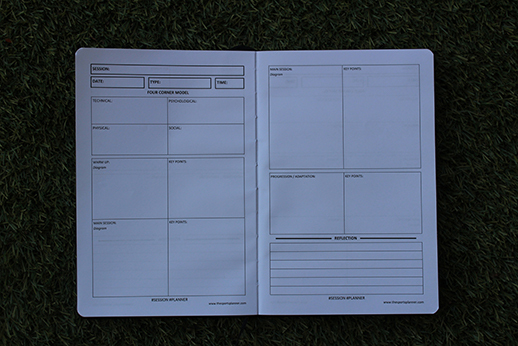 3) The pages will then be installed into the planner at the same time as the bookmarking ribbon. 4) Next the internal cover sheets are glued into place and the elastic band is installed into the back cover of the planner. 5) Corners will then be rounded using a laser cutter. 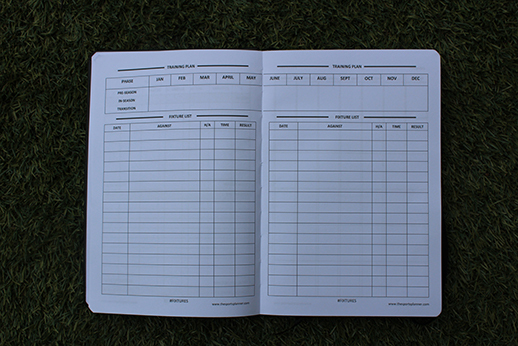 6) Lastly, each planner will be checked for quality and individually packaged in a plastic sleeve for shipment. 7) Then the goods will be shipped to my door where I will carry out the fulfillment of the planners to their respective homes myself. I have already found a forwarder to ship them to my door as well as worked out a plan with parcles2go to have them shipped. 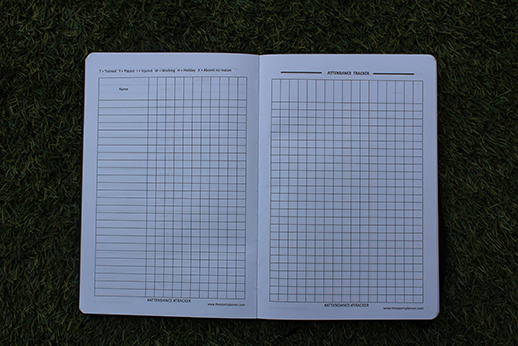 The Full PDF version of the football planner for you to print and use to chase your passions! A download link will be available for our backers at the end of the Kickstarter.